Neemrana is a wonderful village in Alwar district of Rajasthan. This village is 75 kilometers away from Alwar city. This village has a century old history. During your visit to you can get the smell of the old past. There are fort and palace which are the most famous sites of the village as well as of Alwar. Tourists of the world thronged this place. 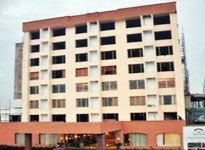 To give them a luxurious travel experience there are some Hotels in Neemrana. 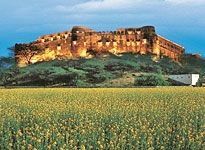 You can spend your holiday at the eminent Hotels in Neemrana like Neemrana Fort and Palace, Hill Fort, Kesroli and various other hotels. Most of these hotels are five star and four star hotels. All these hotels are cherished destinations for business travelers and leisure tourists. These Hotels in Neemrana are packed with different kinds of facilities to offer the tourist a memorable hideaway at Neemrana. In the Hotels in Neemrana there are numbers of specious and well decorated rooms and suites. These rooms offer various accommodation facilities such as attached bathroom, air-condition, cable television, running water, mini bar, round the clock room service, refrigerator and many more. Hotels in Neemrana have the eateries with beautiful ambiance. These restaurants cater delicacies of Rajasthan and international dishes. These hotels are also adorned with coffee shops and bars. Most of the Hotels in Neemrana have well equipped conference rooms and banquet halls. You can get different types of health facilities and other facilities such as swimming pools, fitness centers, spas, saunas, indoor games, car hire, car parking, laundry, 24 hour travel desk, safe deposit locker, 24 hour security, currency exchange and many more.